Dortmund - Borussia Dortmund's profligacy in front of goal came back to haunt them once again on Matchday 9, as Hiroshi Kiyotake's free-kick earned Hannover 96 a smash-and-grab 1-0 victory in North Rhine-Westphalia. 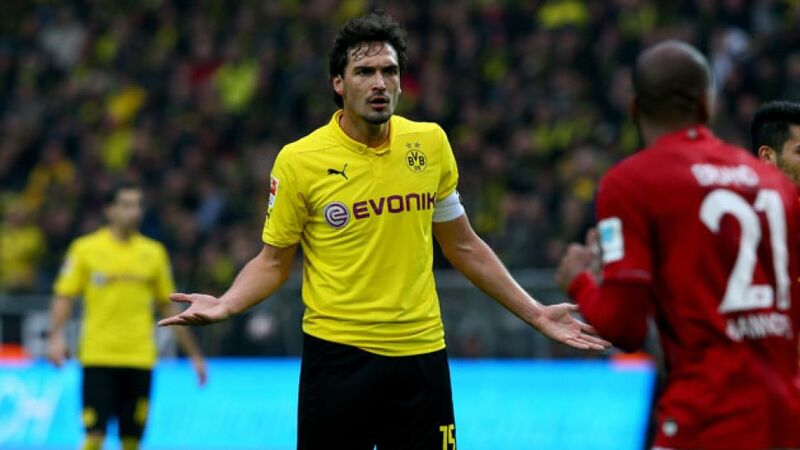 Mats Hummels: It's becoming difficult to find an explanation [for our poor form]. It's no use talking about an undeserved defeat against Hannover, that won't get us anywhere. We had many, many chances to make it 1-0, but we didn't manage to do that. Our opponents then score with their first or second shot at goal. It's a very tough at the moment. Everything that can go wrong is going wrong in the Bundesliga. Sven Bender: It's a bitter pill to swallow. We've ended up empty-handed again and we don't really know why. We tried everything. We had a good game, even if we didn't play perfectly. But it wasn't enough. The last few minutes can't have been great to watch because we lost focus a little bit, but we've got to keep looking forward. Marco Reus: We've got to keep a cool head and regroup ahead of our next game. Ron Robert-Zieler: I've played here in Dortmund many times, but we've never managed to keep a clean sheet before today. I definitely played my part in us taking home three points today. I think this win will do the whole team a world of good. We've had to cope with a lot in recent weeks and haven't presented ourselves in the best light as a team. We've often come to Dortmund and taken nothing away with us, but every game starts with the scores level and we put in an incredible performance. Overall, it was a fantastic afternoon. To win in Dortmund is something special. Joselu: Playing against Dortmund is always difficult, but thanks to [Hiroshi] Kiyotake's phenomenal free-kick we've collected three points. I told him before he took it: "Come on Kiyo, put it in just like you do in training". It was a super game, we played superbly and we beat a superb team today. We needed these three points, above all on an emotional level. The win is the perfect pre-cursor to next week, The mentality of the team was spot on today.